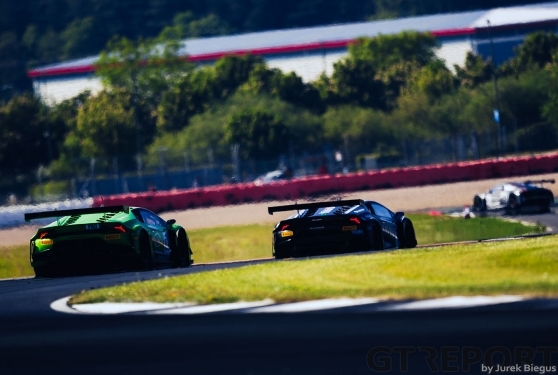 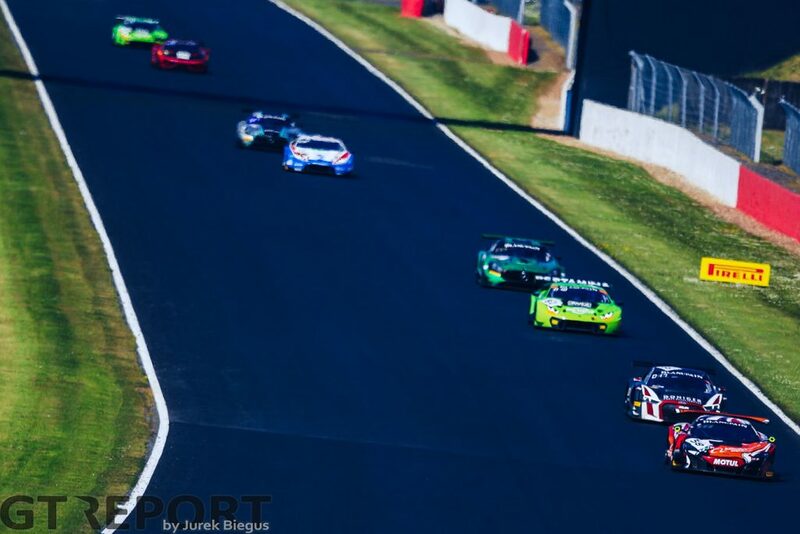 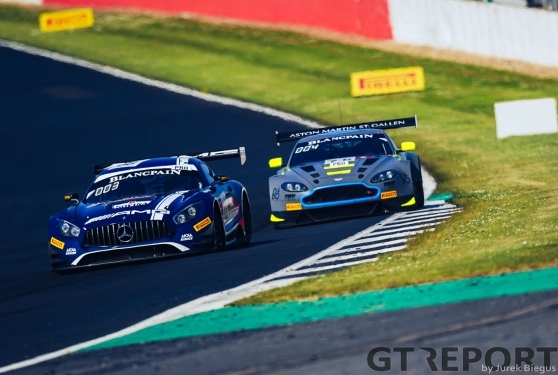 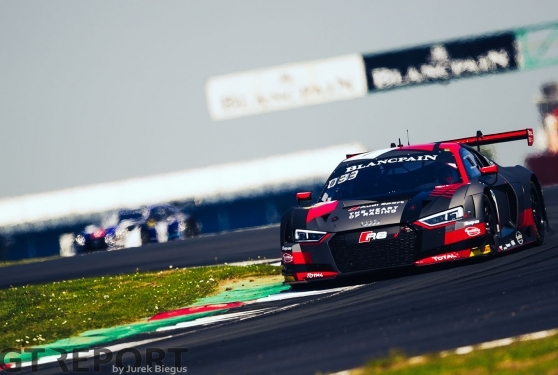 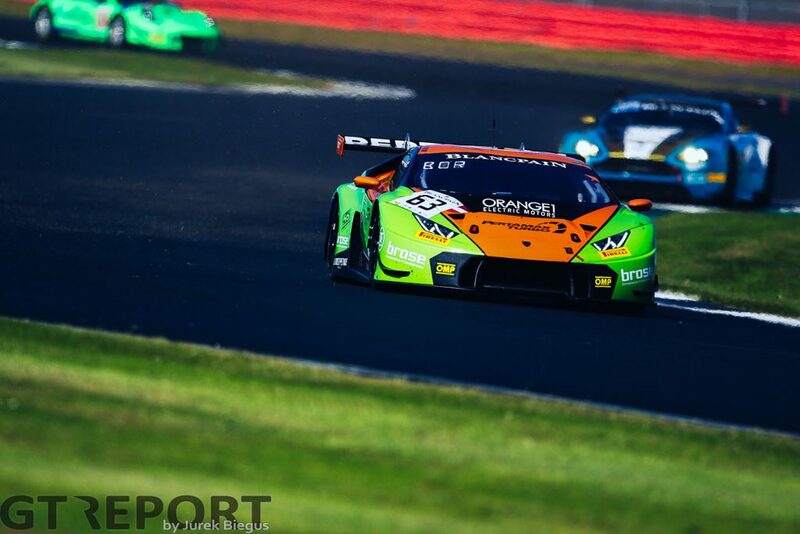 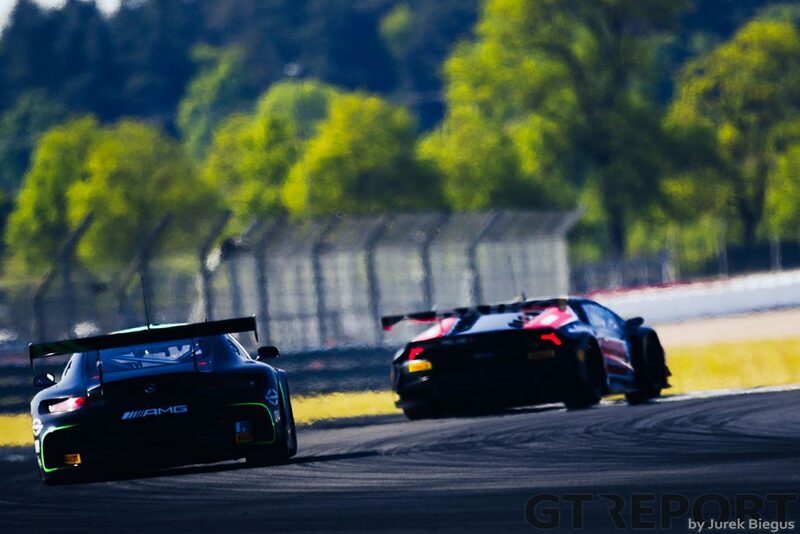 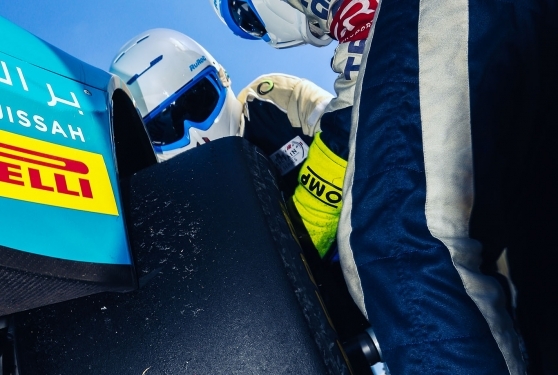 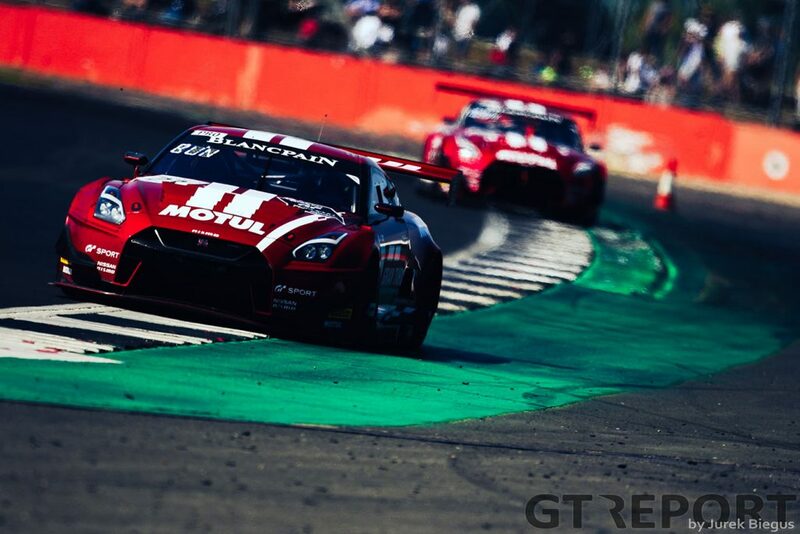 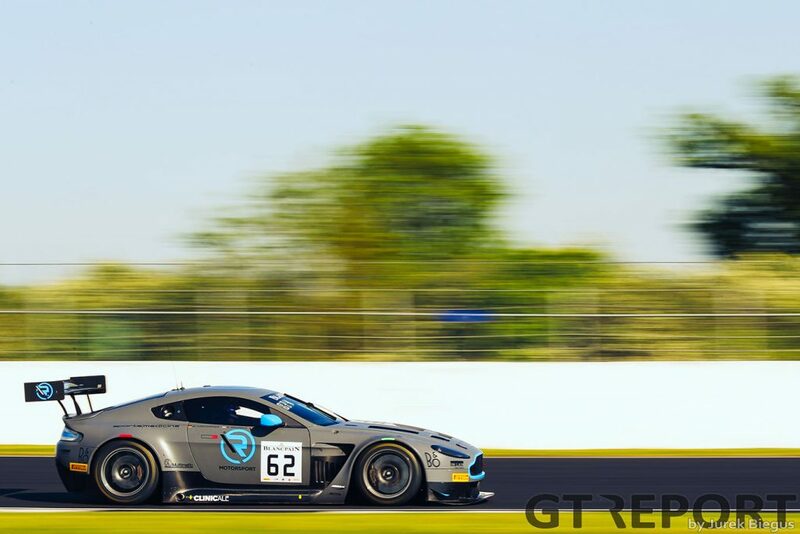 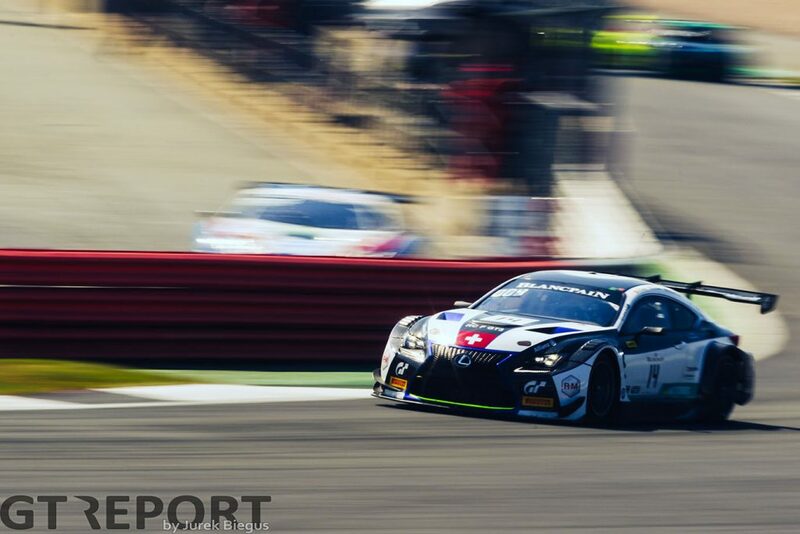 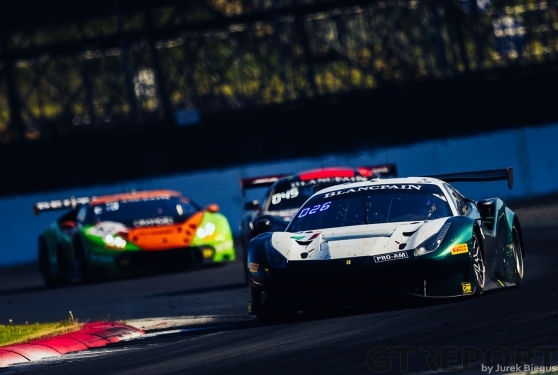 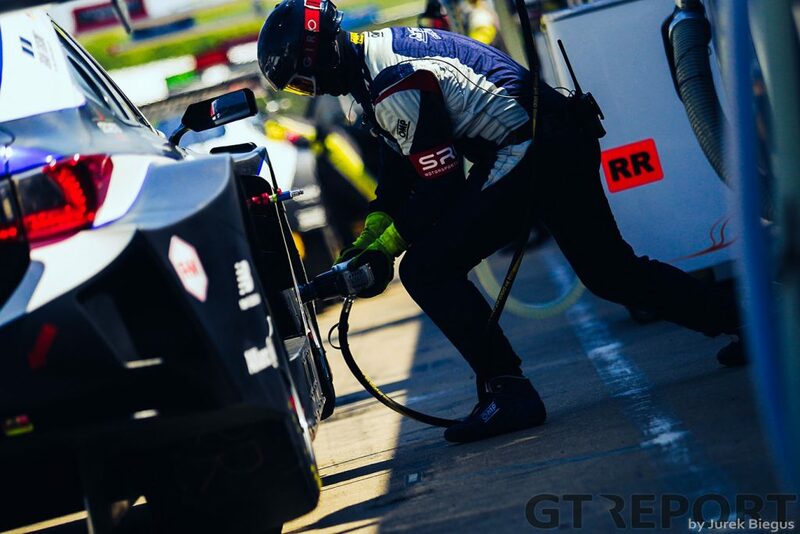 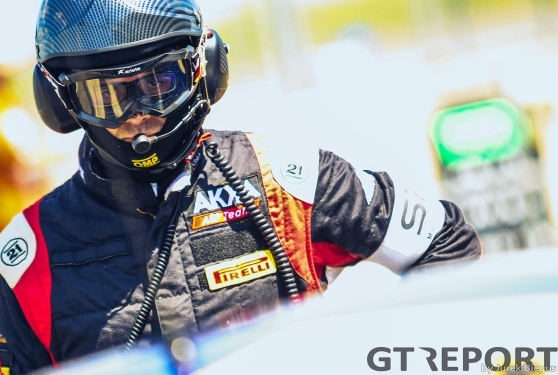 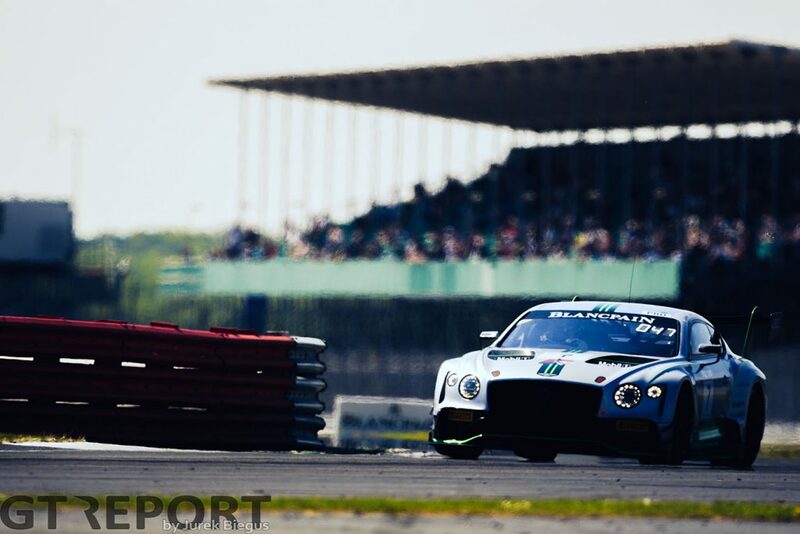 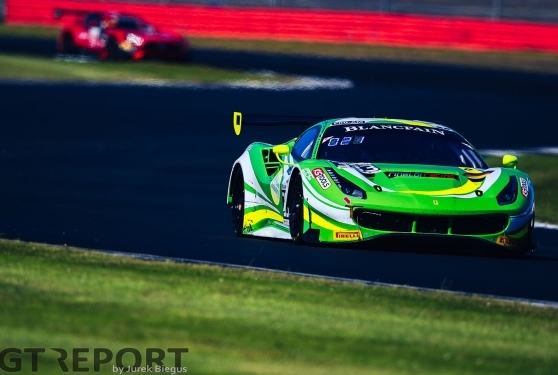 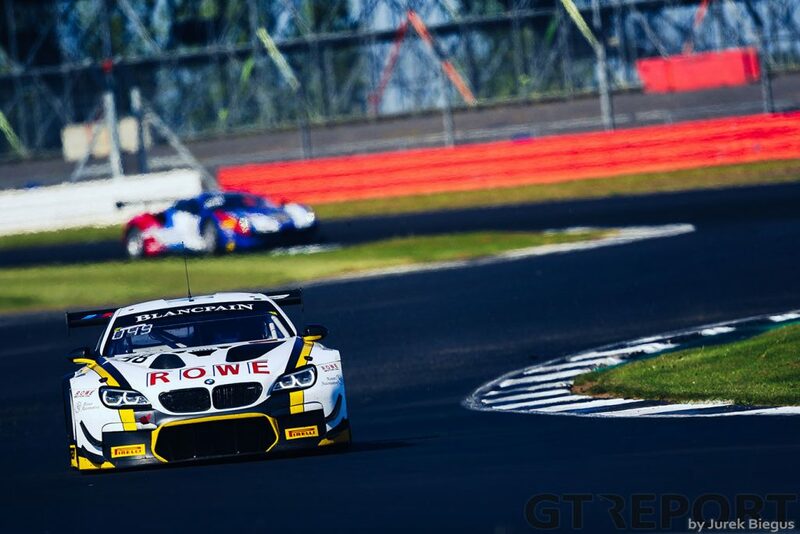 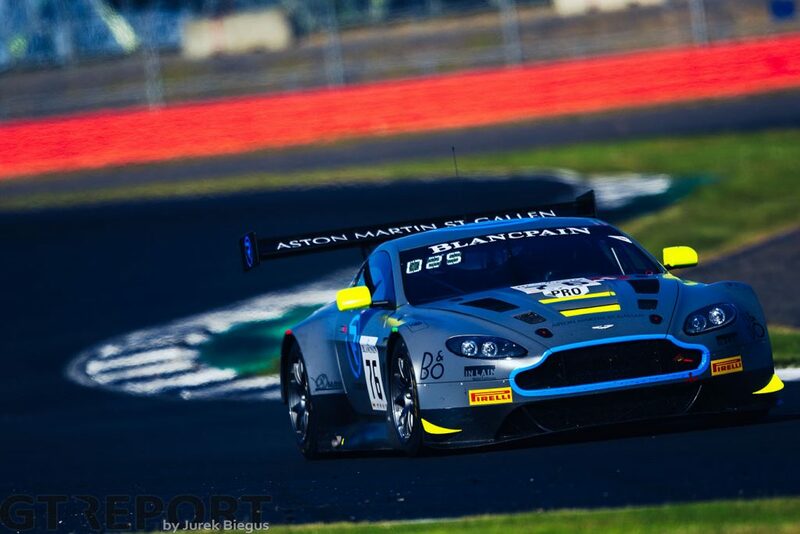 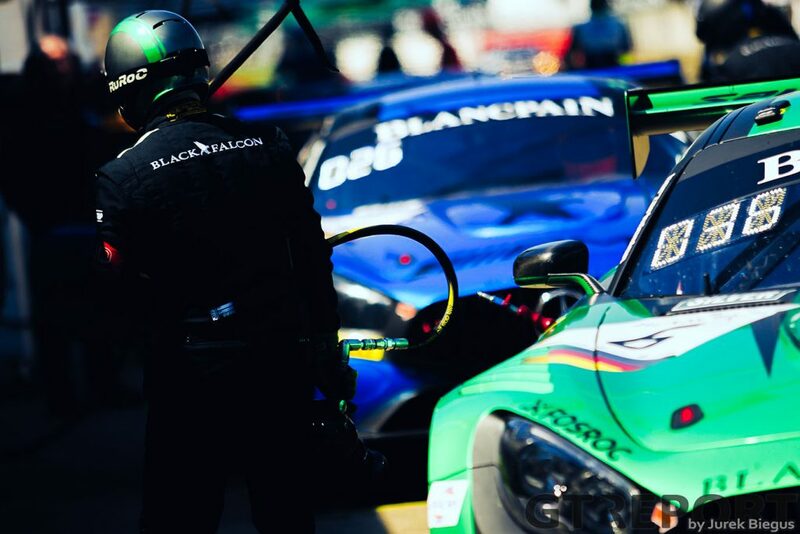 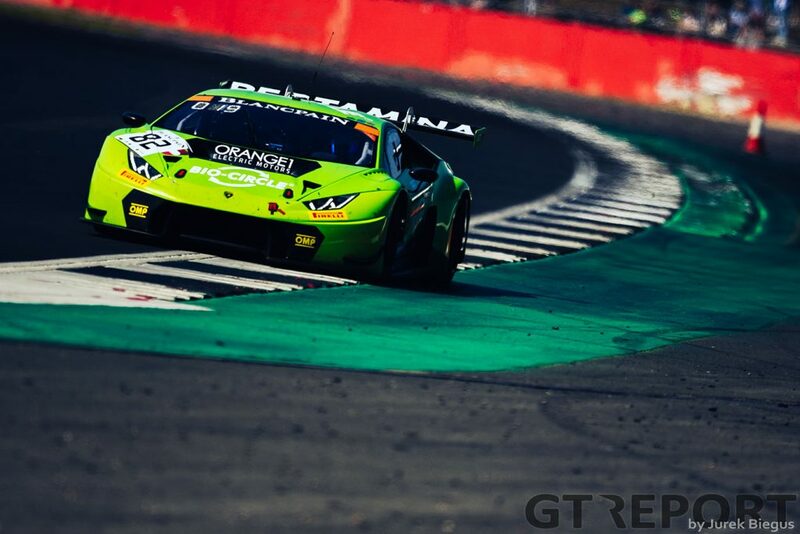 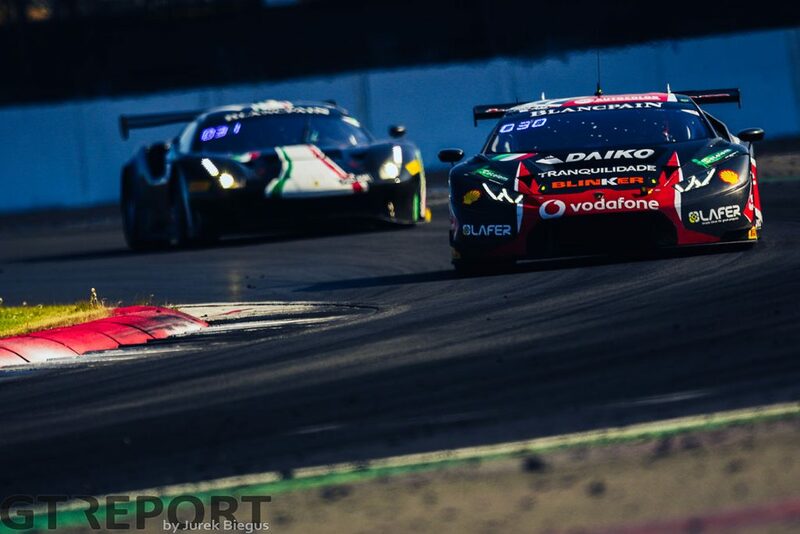 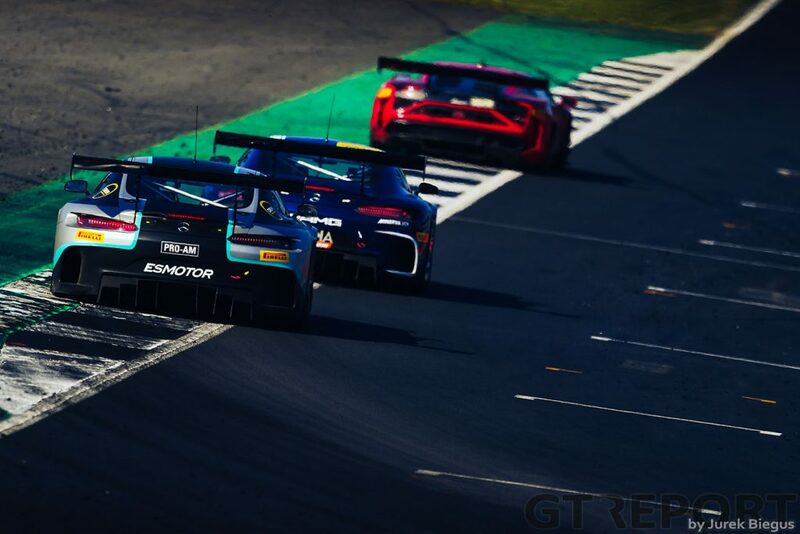 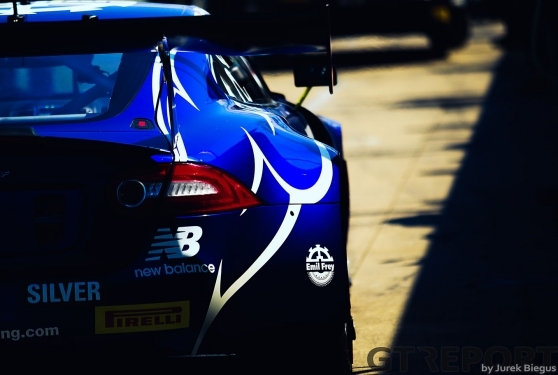 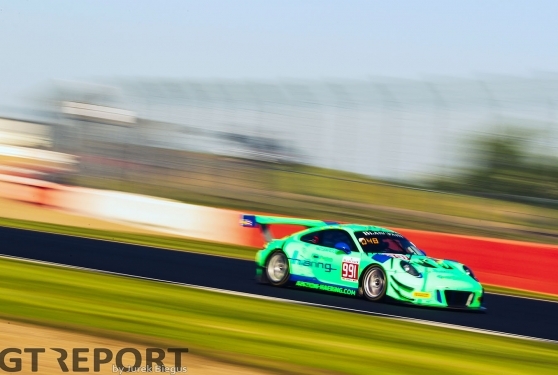 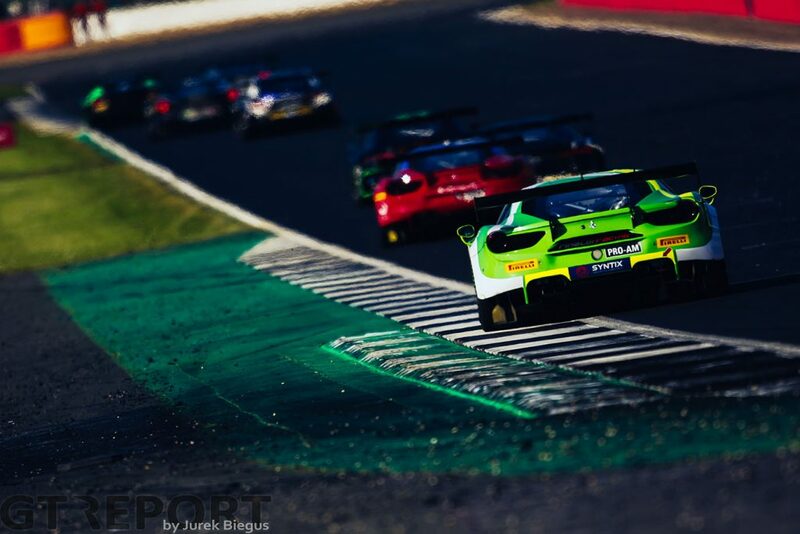 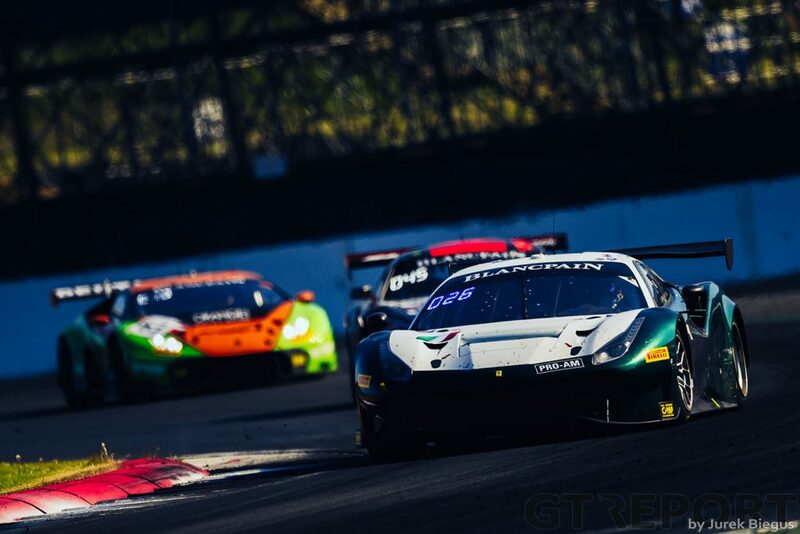 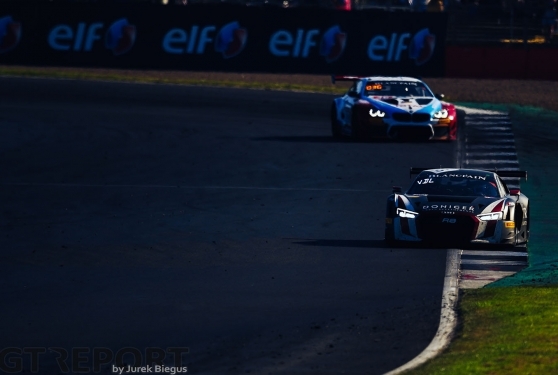 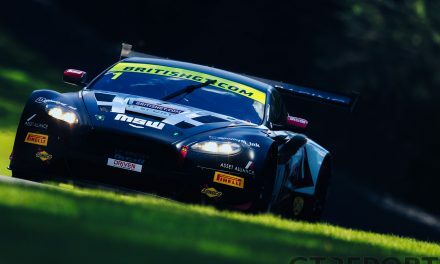 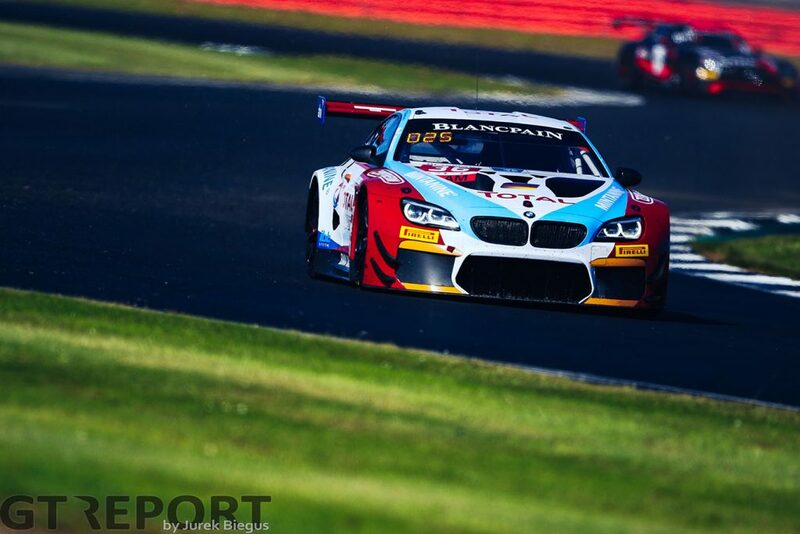 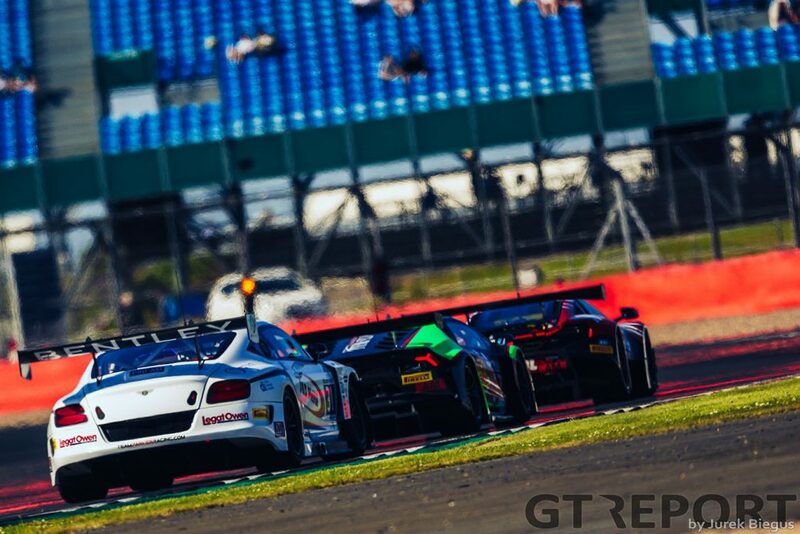 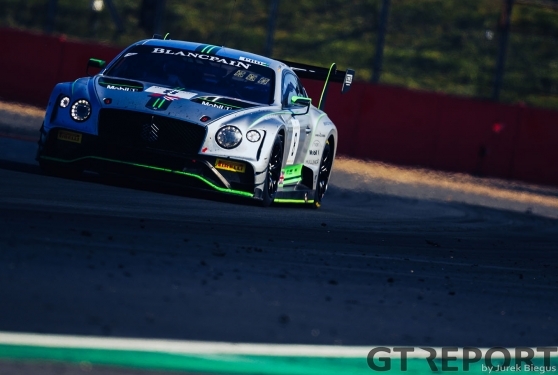 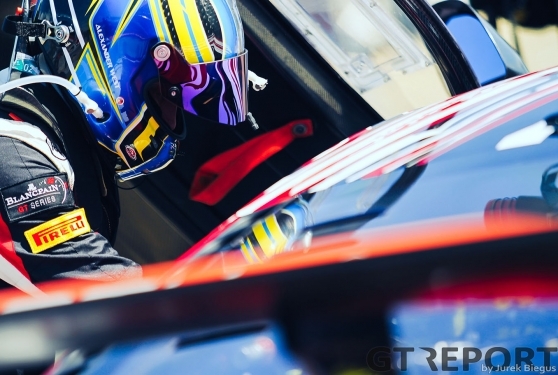 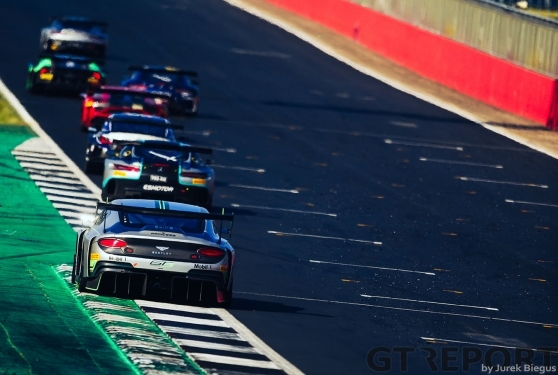 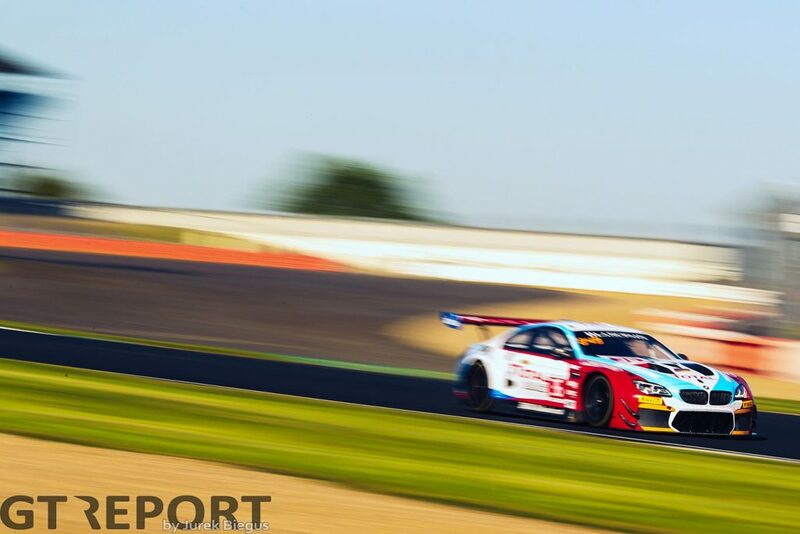 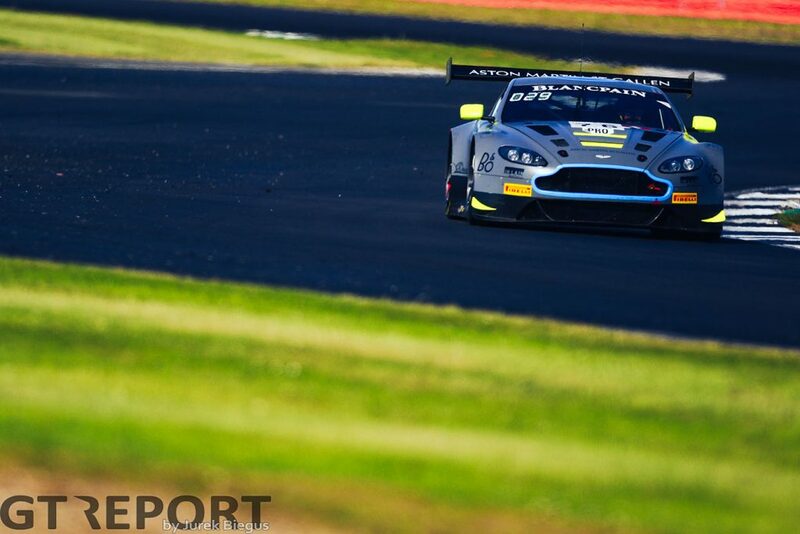 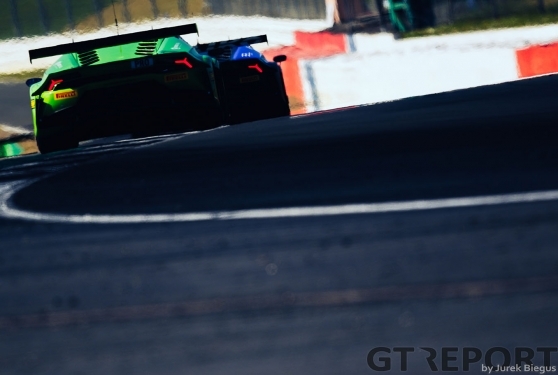 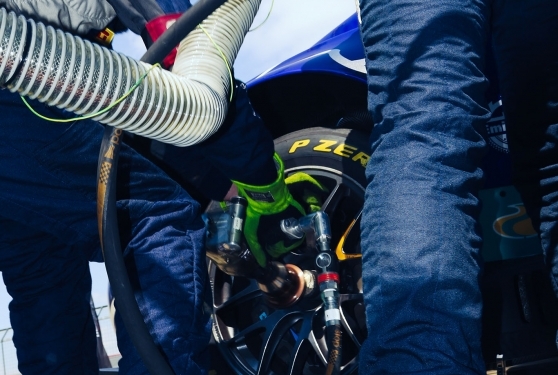 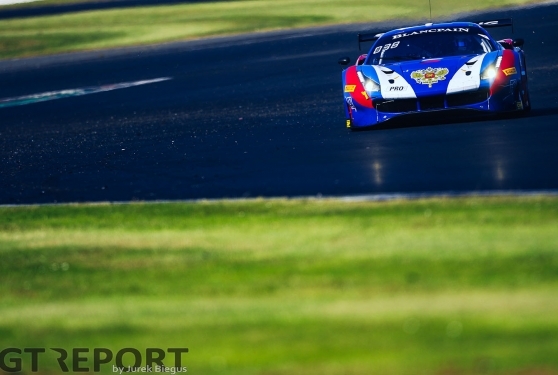 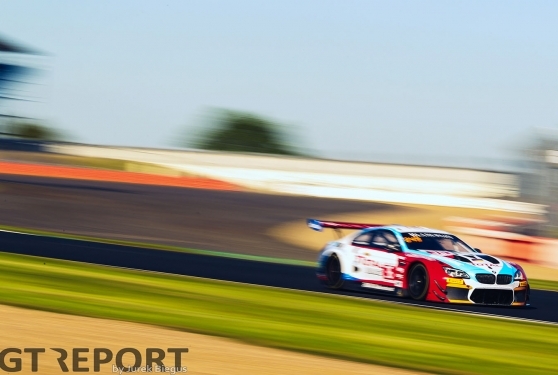 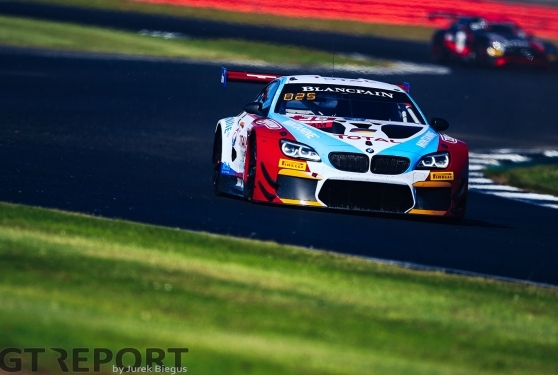 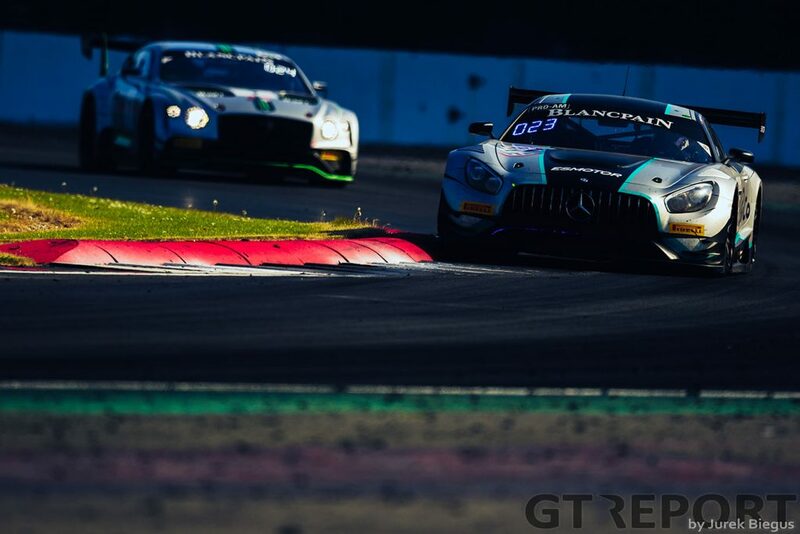 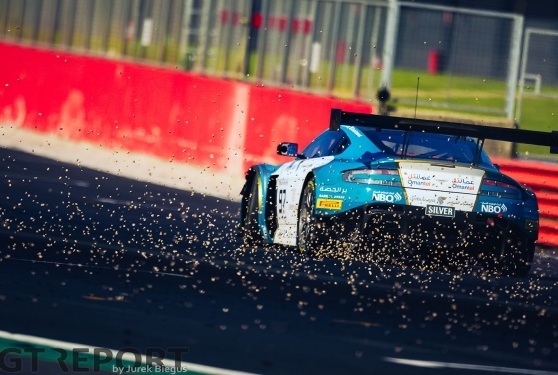 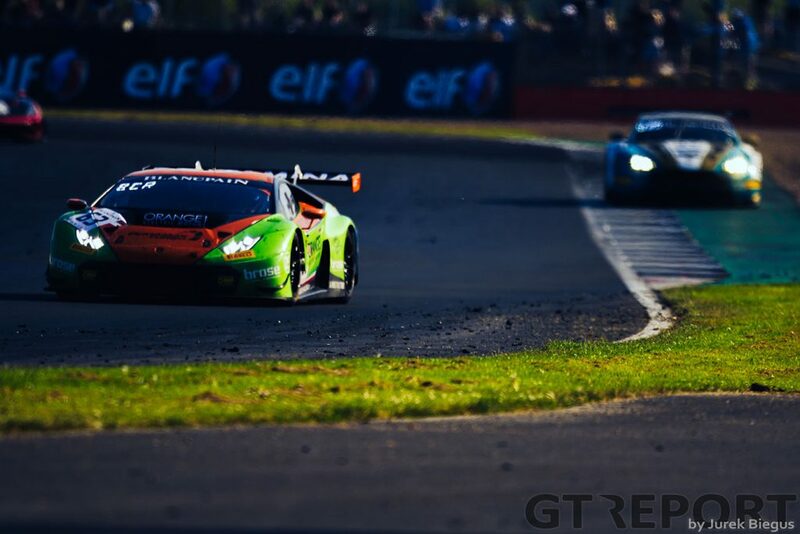 A sun-drenched race at the home of British motorsport saw R-Motorsport enjoy a dominant victory in the Blancpain GT Series Endurance Cup with the Aston Martin team led by Nicki Thiim, Jake Dennis and Matthieu Vaxiviere leading nearly the entire race. 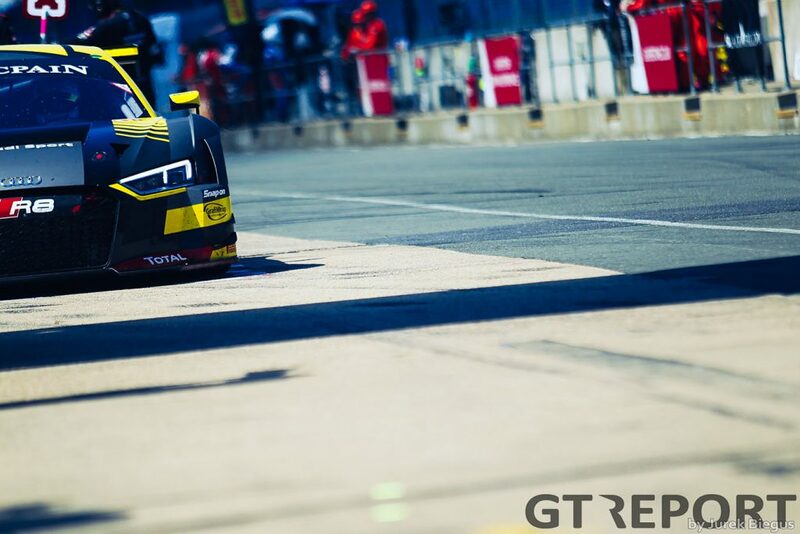 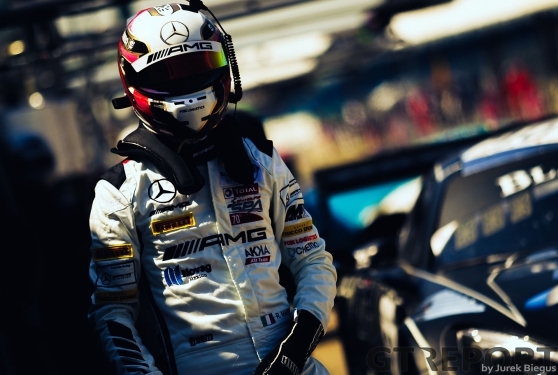 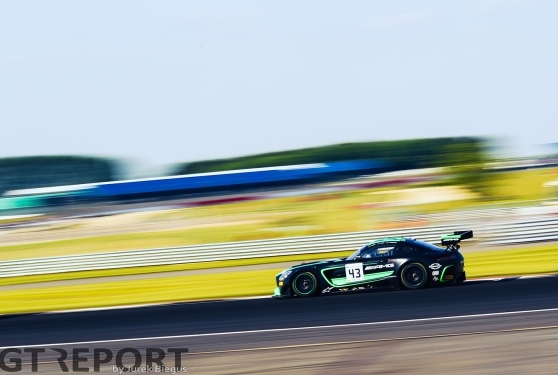 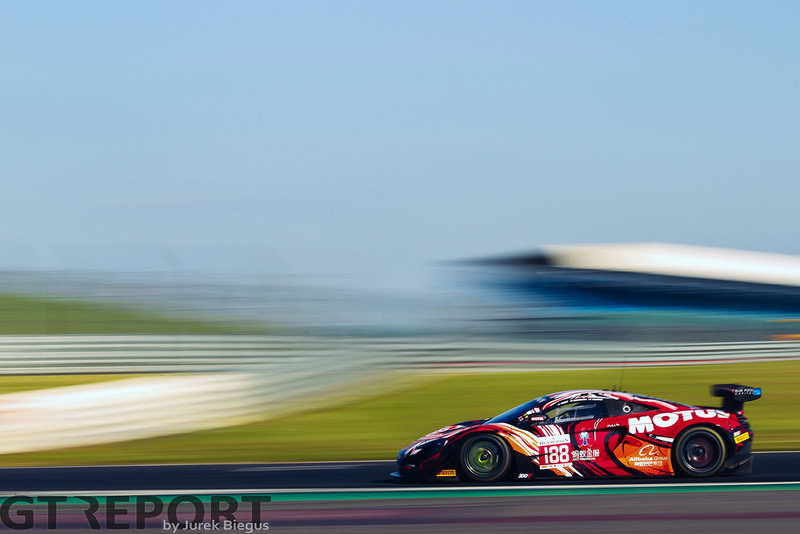 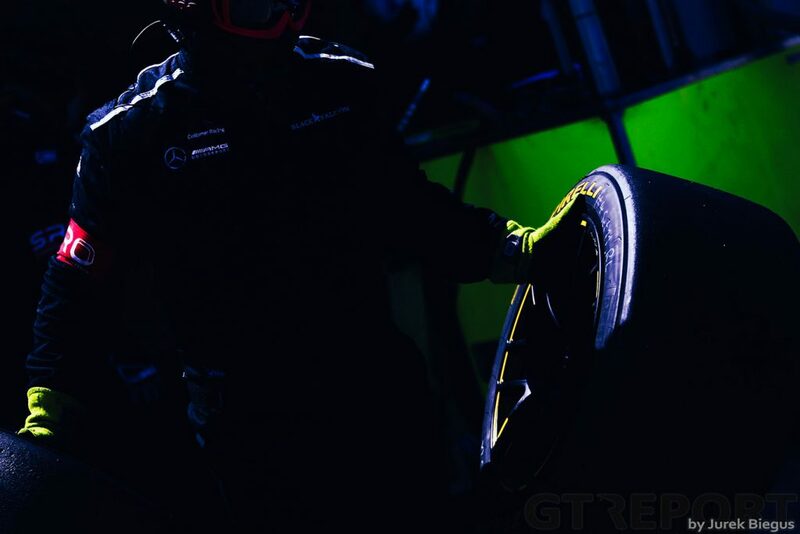 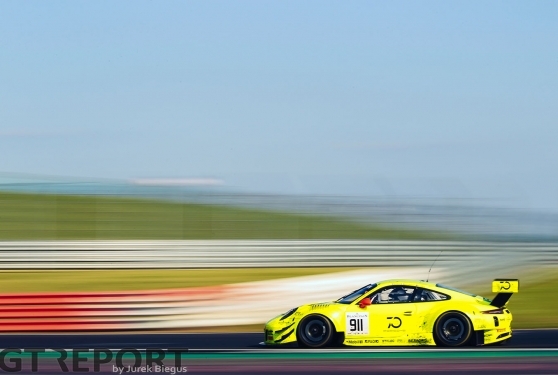 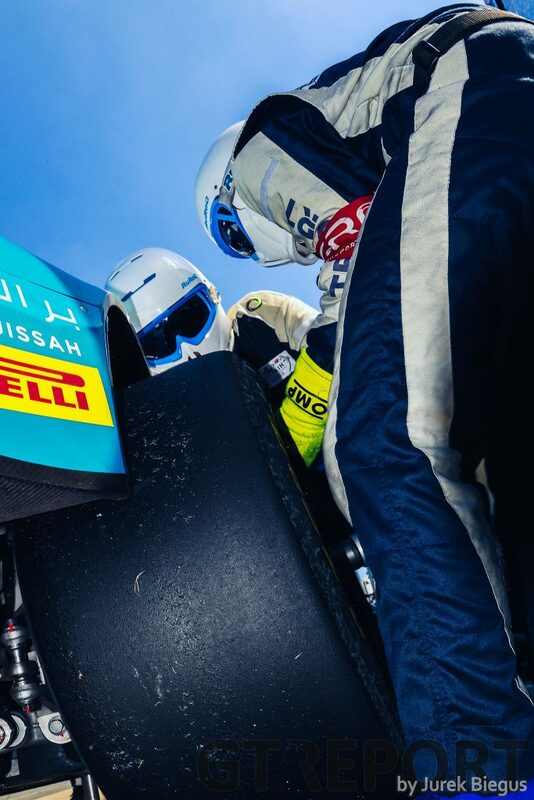 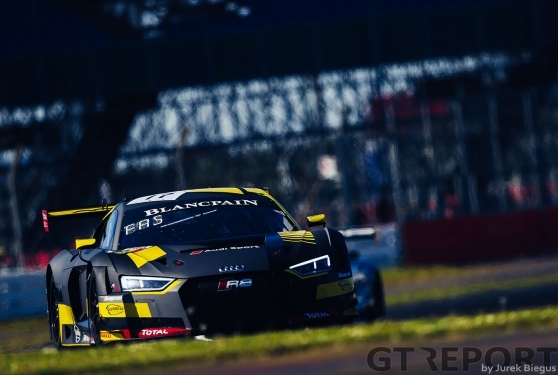 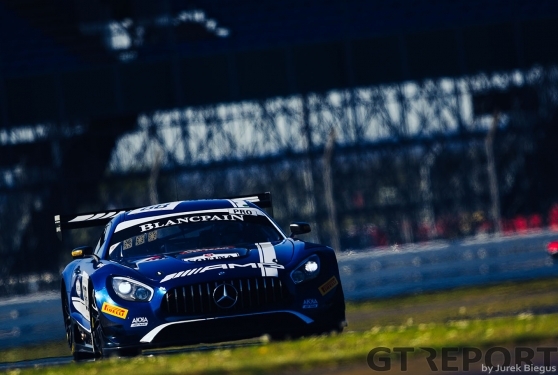 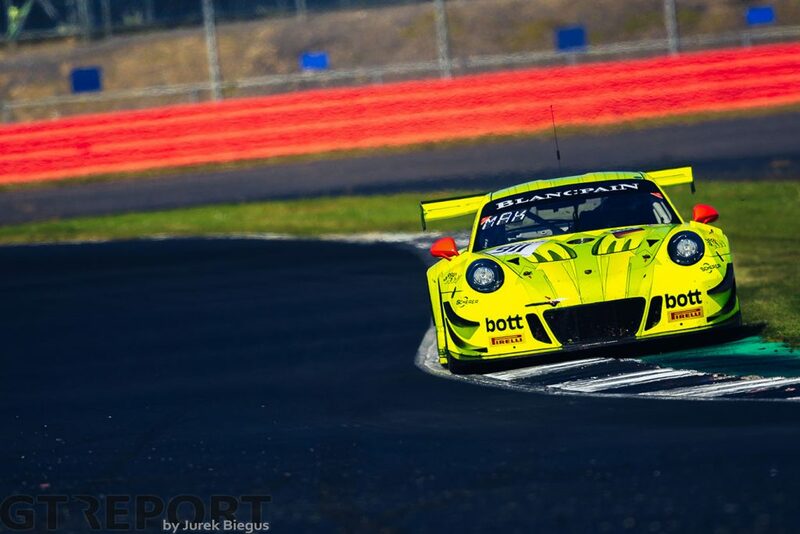 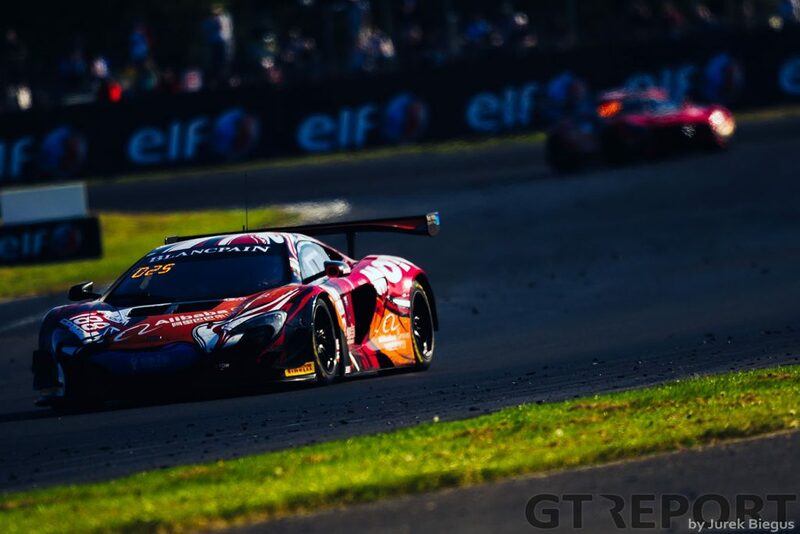 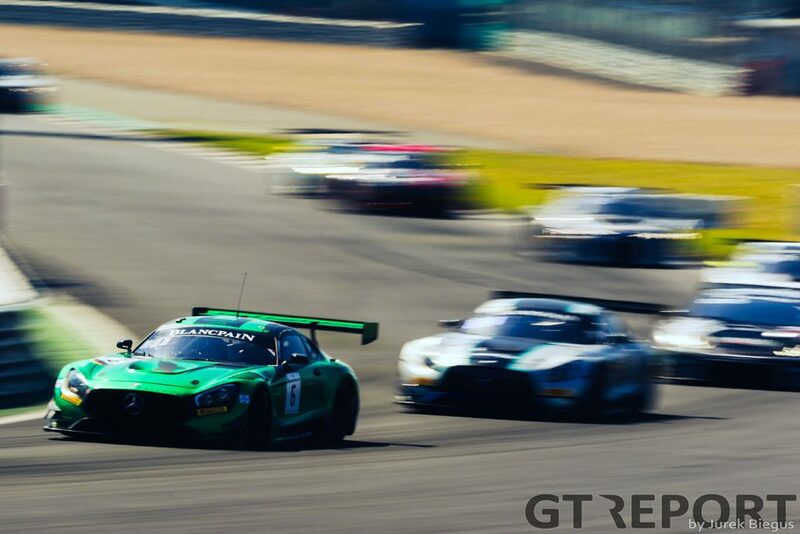 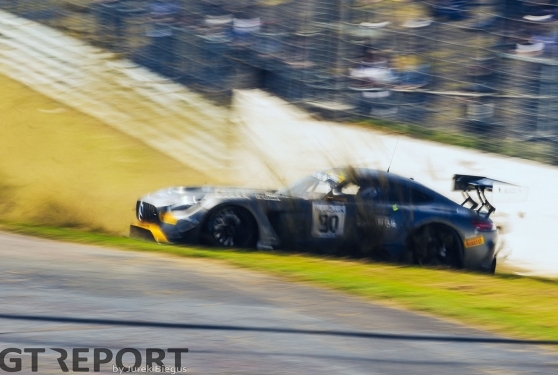 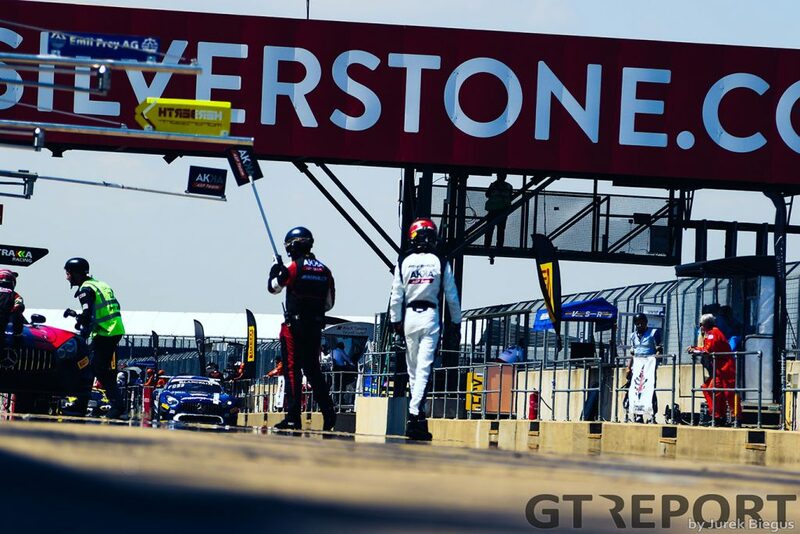 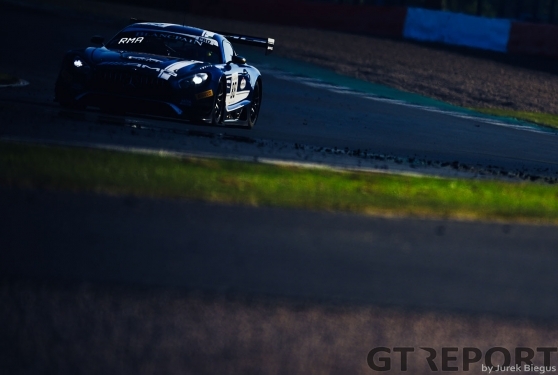 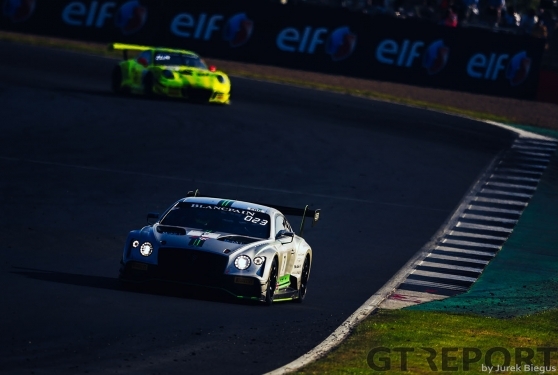 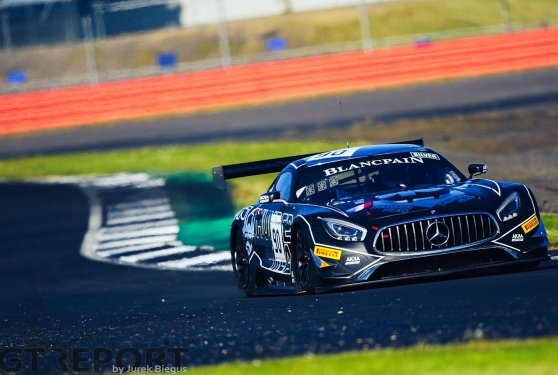 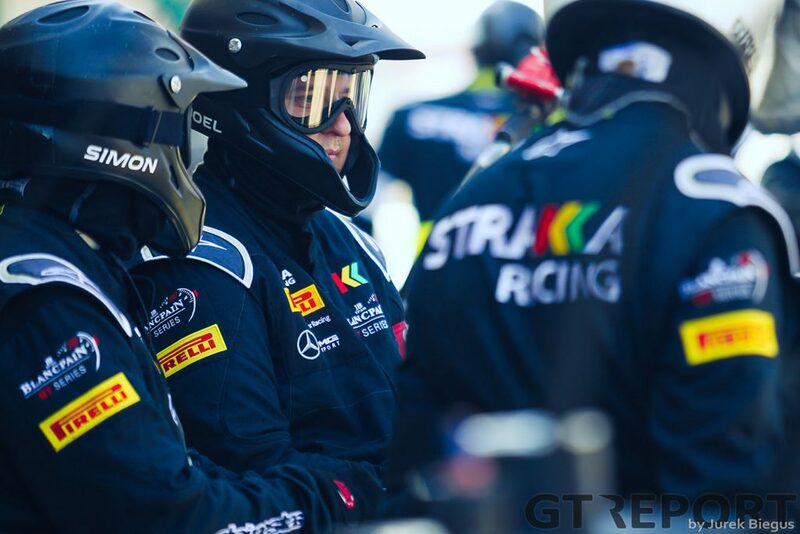 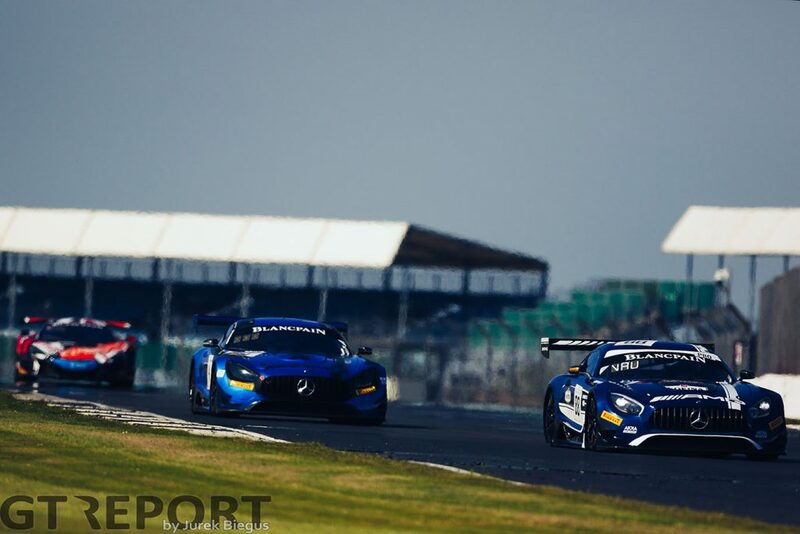 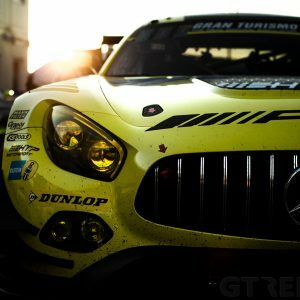 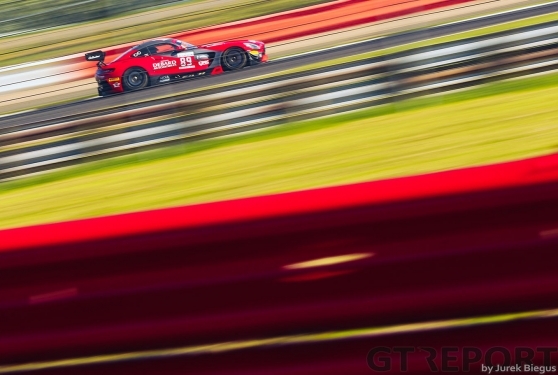 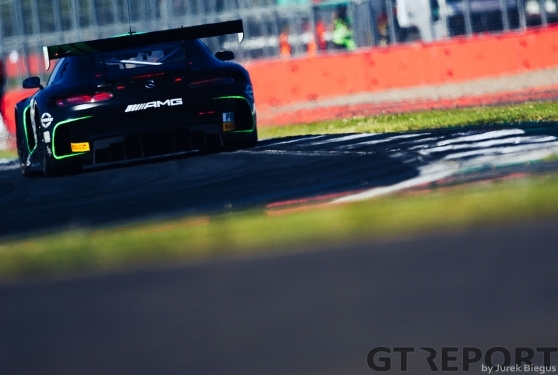 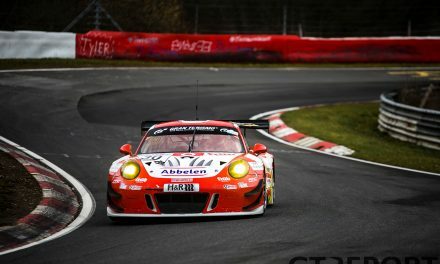 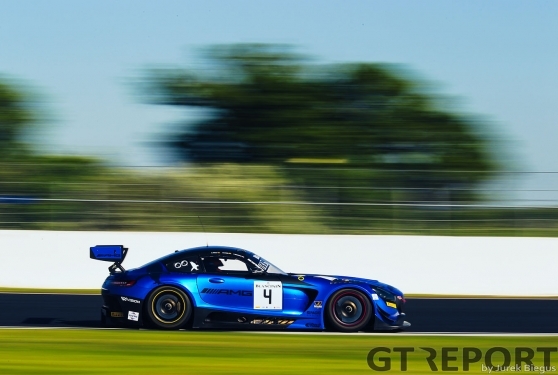 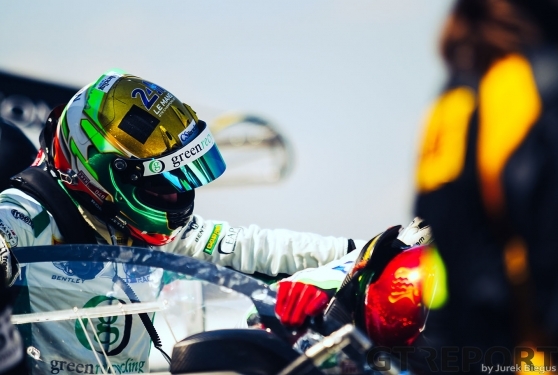 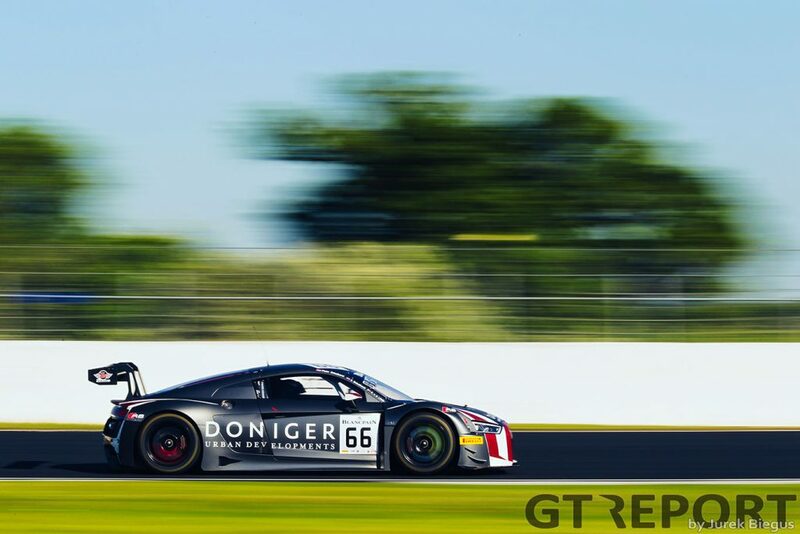 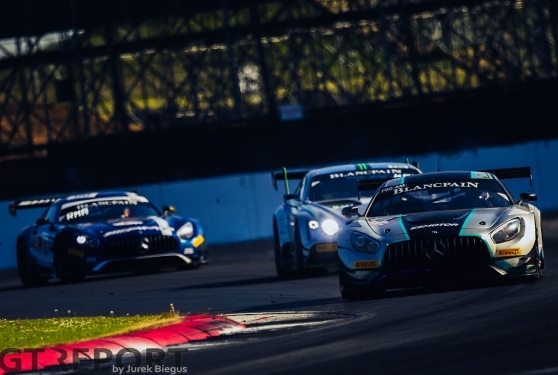 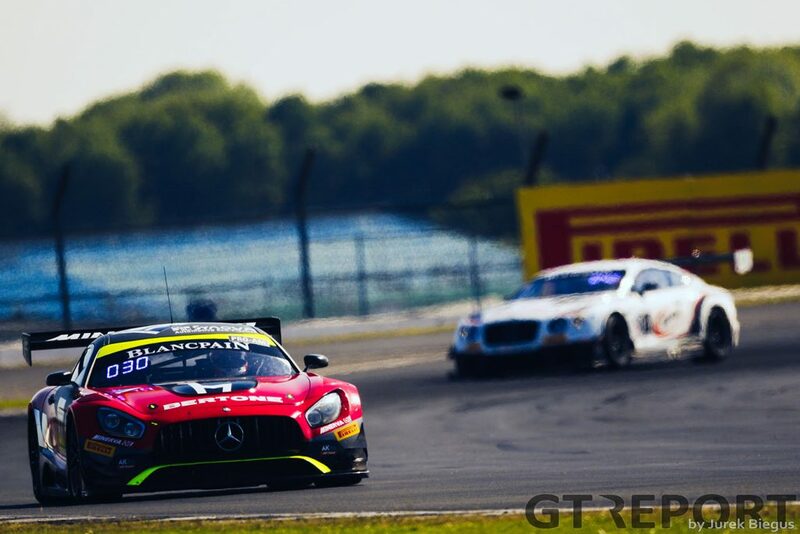 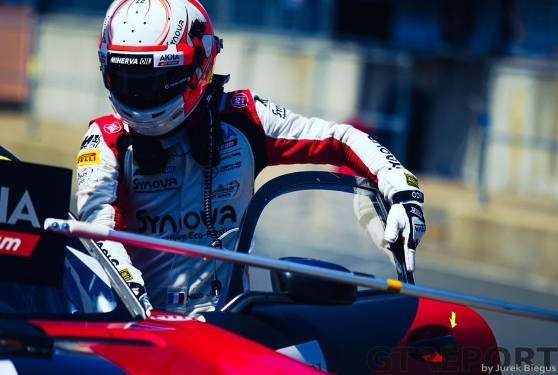 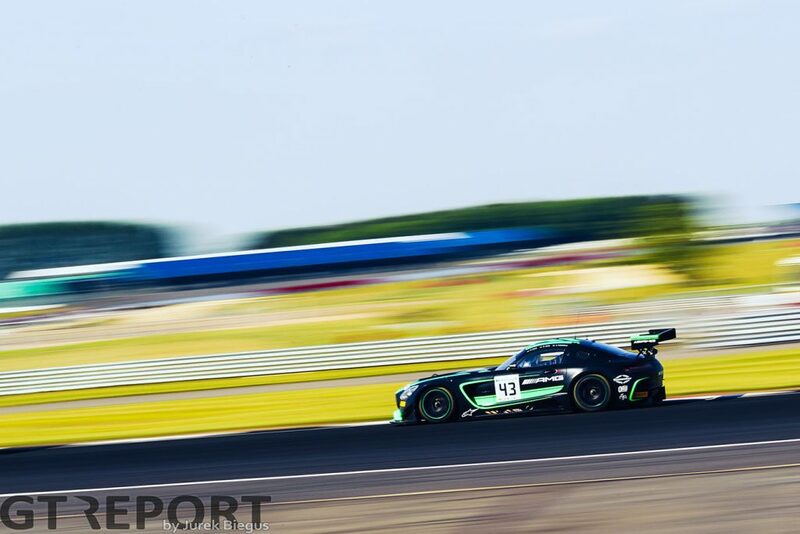 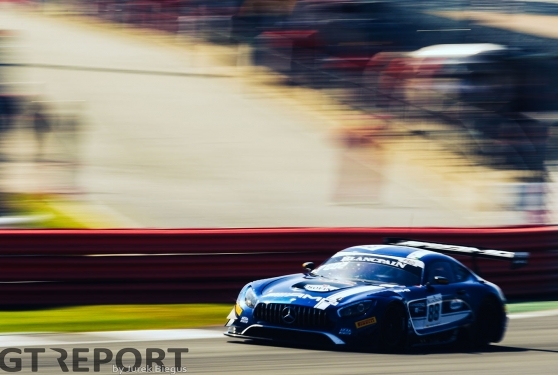 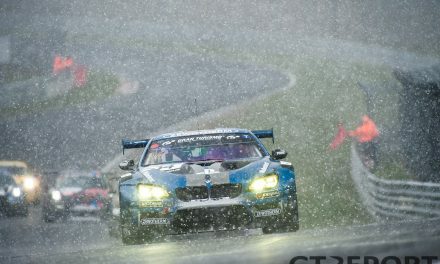 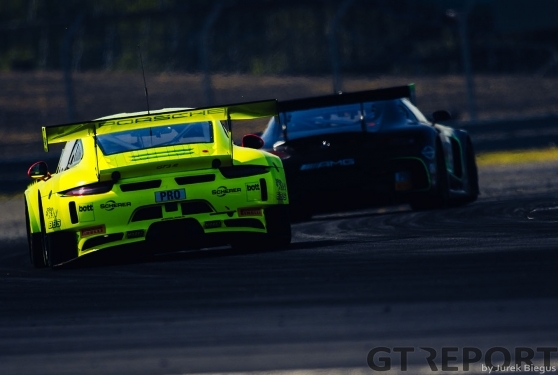 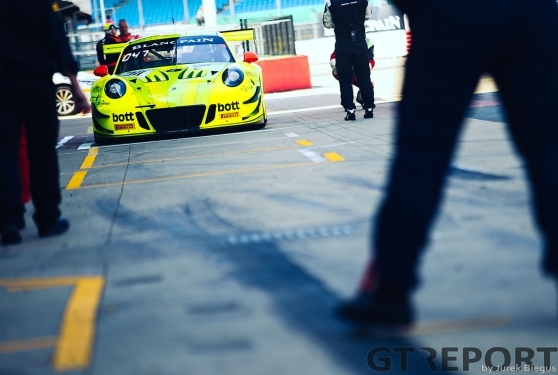 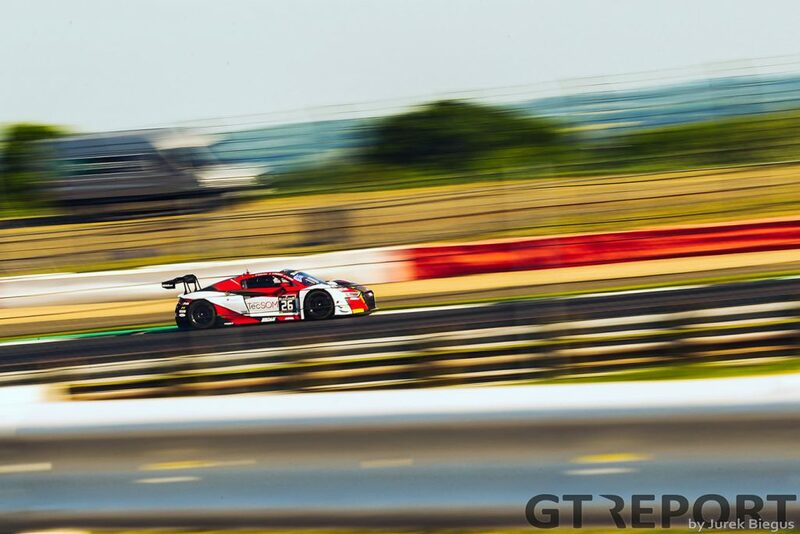 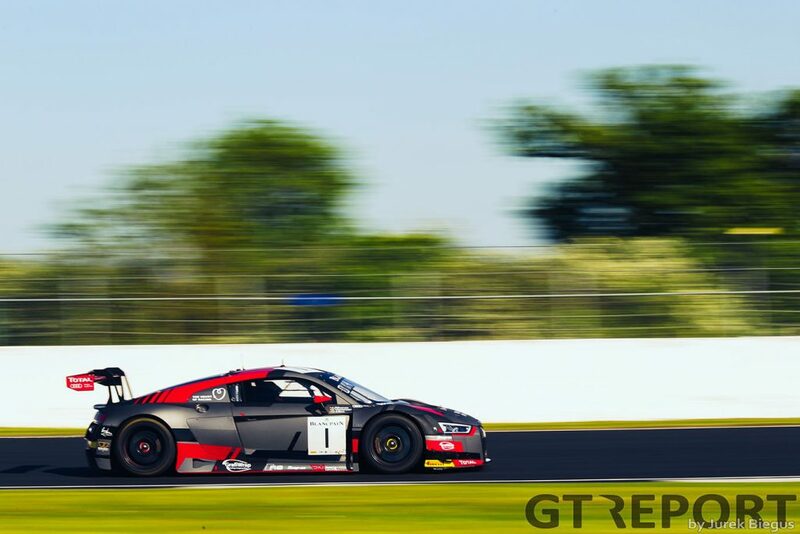 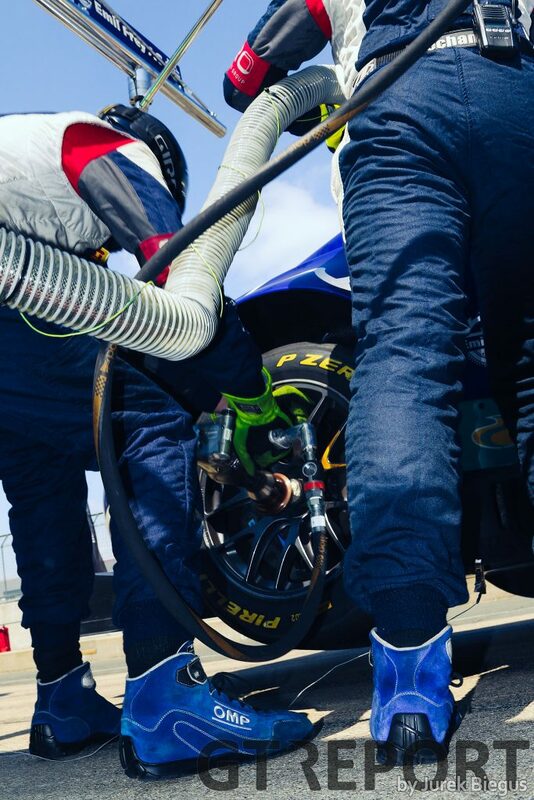 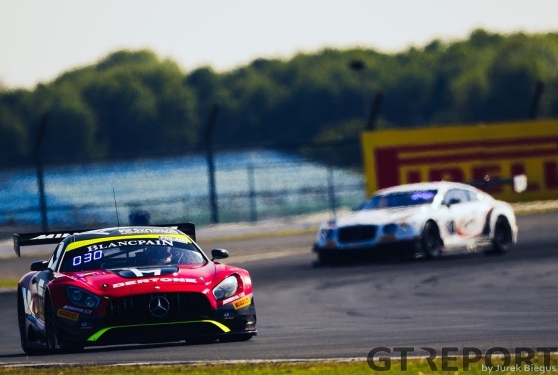 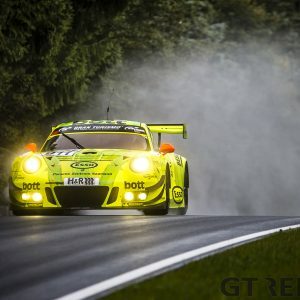 Their run to the flag was briefly interrupted by their nearest challengers, the AKKA ASP Racing Mercedes-AMG GT3 of Tristan Vautier, Adam Christodoulou and Raffaele Marciello, who led after the first round of pit stops but were soon overhauled by a bullish Jake Dennis. 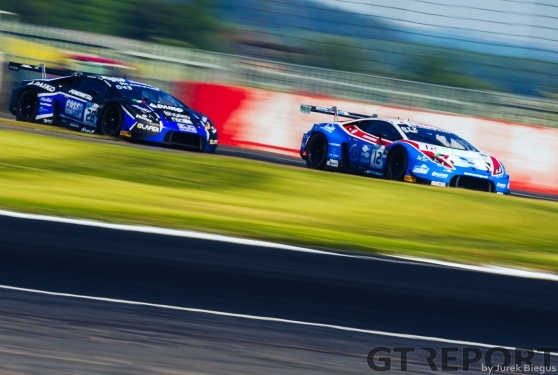 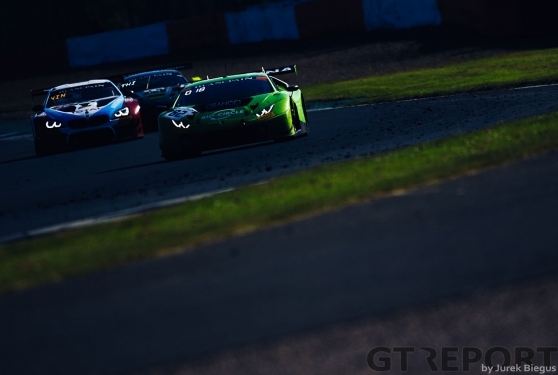 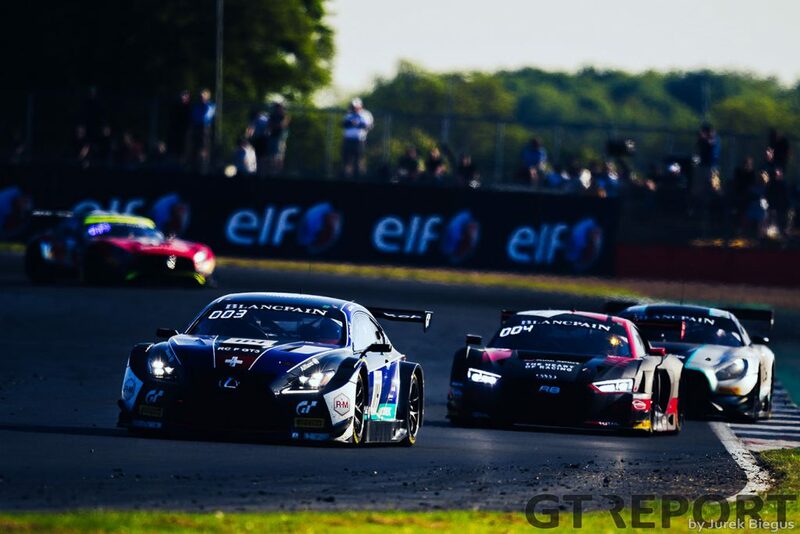 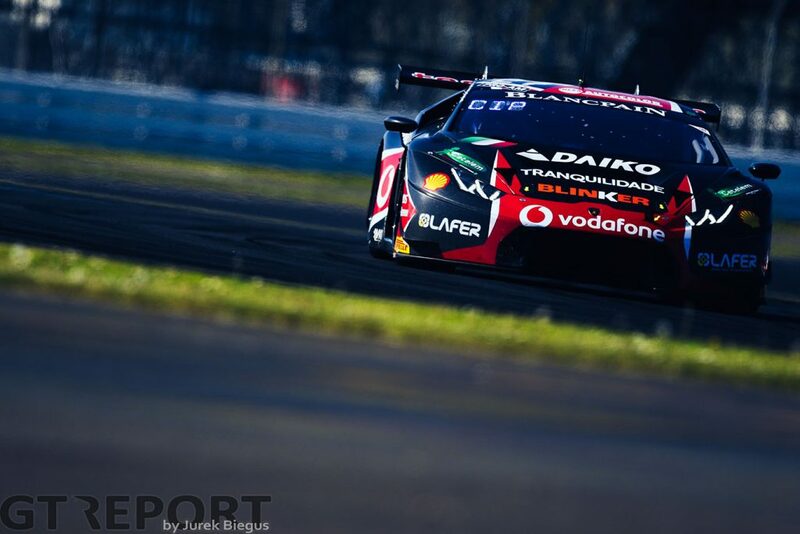 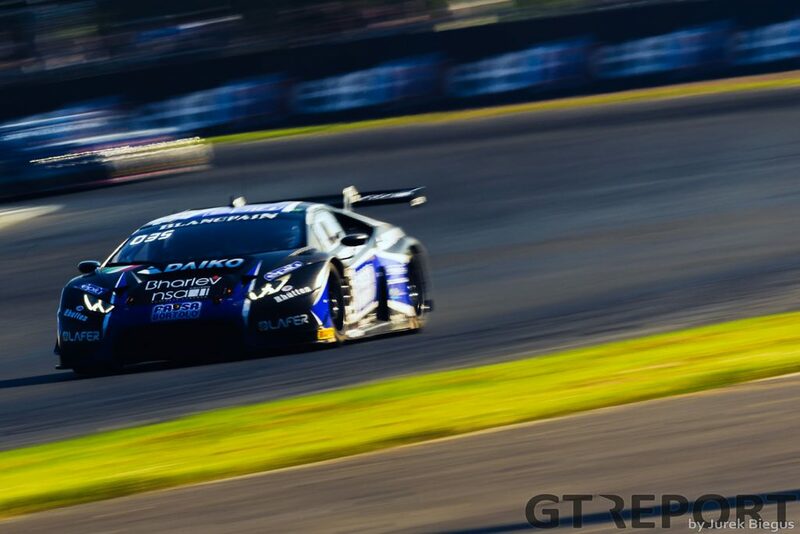 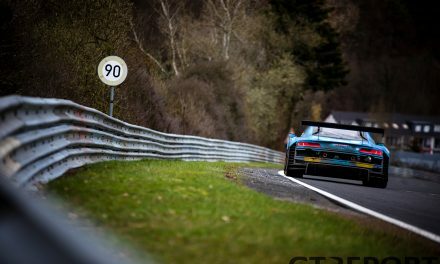 The Emil Frey Lexus RCF GT3 of Stéphane Ortelli, Markus Palttala and Norbert Siedler took the final overall podium spot after holding off a late charge from Dries Vanthoor in the Belgian Audi Club Team WRT Audi R8 LMS GT3.